So when I FINALLY discovered a name/condition in the last month and read about what to avoid and there are special exercises that can help alleviate the gap, I was awe-struck. How could my OB and other women who suffer from this not be talking about it/know about it?!?!? And, did I make it worse by doing all those crunches and planks and yoga moves for months? Seriously? W.T.H.?! I feel like it’s something you should be warned about when you take your first birthing class or are given all the literature about breastfeeding and baby rearing. 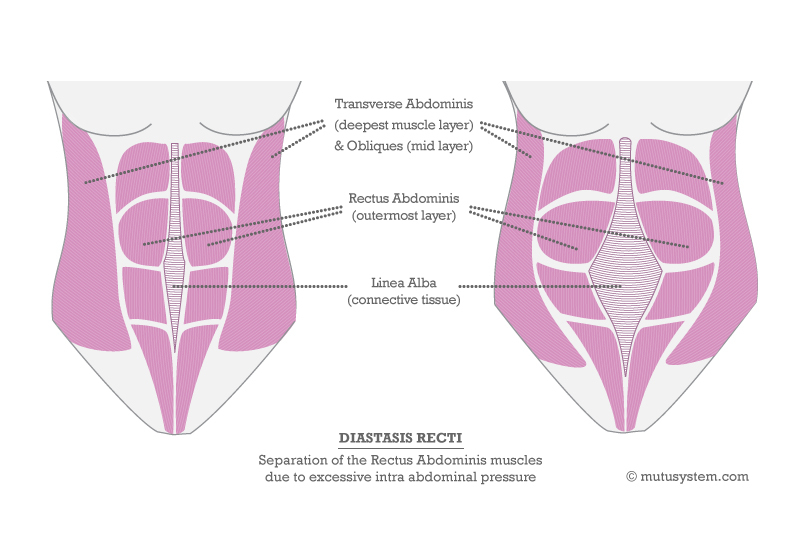 Anyway … I wanted to throw it out there in case there are folks joining the ab event (or increasing their ab exercises trying to get rid of that bulge that just won’t go away) who might actually have this condition but not realize/know it and would end up doing more damage. Totally not trying to damper the ab challenge event that everyone is attending in any way whatsoever. This is just my new soapbox, because I think it’s important information that women should know. Also, now that I’m searching all over for information, I’ve discovered there are two camps/approaches to treatment — one that recommends wearing a brace to help bring the muscles together (along with recommended safe exercises), called the Tupler Technique, and another that says wearing that brace doesn’t help — but doing certain exercises will — called the MuTu System. SO CONFUSED AND FRUSTRATED I AM! This is now one of the “things” that keeps my brain occupied, so as I find out more, I will post more. But I’d love to hear from other women out there who might suffer from this but never knew anything about it.